Family owned and operated with 30 years of experience in custom cakes. Fan of Ace of Cakes and Cake Boss? Contact us about creating that special event cake that will blow your guests away. 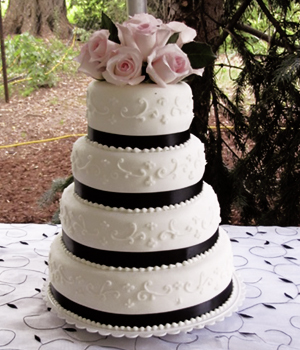 We specialize in custom designed Wedding Cakes. Book your free consultation and let us design a cake that will be the centerpiece of your reception and personalized just for you. To make it easier, you may email pictures and ideas and recieve a quote online or a general quote by phone. To check date availability, see our Reservation Calendar.